Learn Christian meditation in 15 minutes or less per day for 21 days, and make it a life-giving habit that lasts. Learn to to become silent, to be still, to practice solitude. Learn to become truly self-aware. Learn to listen to God. Experience joy and peace and community that lasts. Open your entire being to the work of God the Holy Spirit, and be changed by the Truth of God’s Word. Learn Christian meditation in 15 minutes or less per day for 21 days. Christian meditation isn’t magic, but it is mysterious. 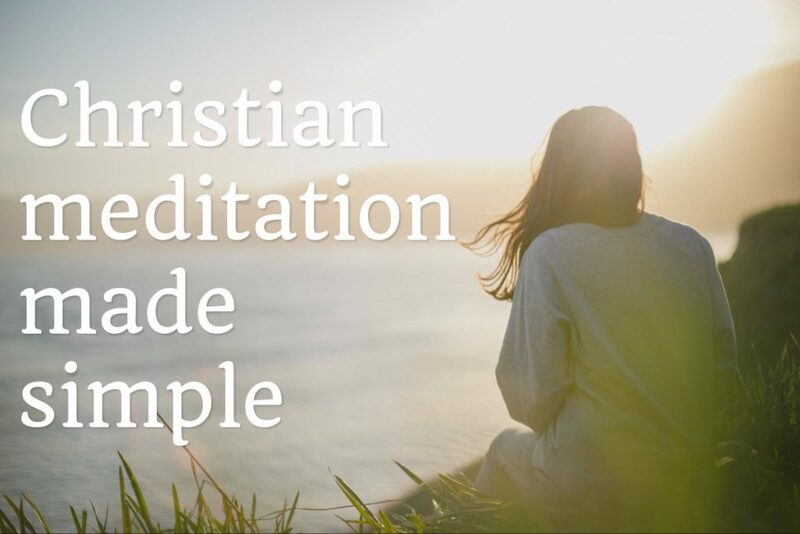 Some of the mystery will never be fully unlocked for us, but what stumps most people are accessible basics…discovering what Christian meditation is, how it can help you grow closer to God, and how to stay consistent over time. In this email course, I’ll teach you everything you need to know to get started on a journey that can bring you closer to God than ever before. This e-course is delivered to you via email, one lesson per day for twenty one days. Each email includes beautiful art, quotes from brilliant spiritual writers, journal prompts/questions for reflection, and solid, practical content from me to learn Christian meditation. The one benefit of meditation that’s so much better than calm, inner peace, etc–but that so many people miss! What Christian meditation really is–and what it is not. You’ll also be able to email me at anytime with your questions, thoughts, and concerns, and I’ll make sure to respond to you personally…I’m here to support you with advice, prayer, direction the whole way through as best I can. Zero Risk, 100% Satisfaction Guarantee If for any reason you are not 100% satisfied, I’ll issue you a full refund up to 30 days after your purchase. That means you could go through the entire course and if it’s not helpful to you, I’ll give your money back. That simple.